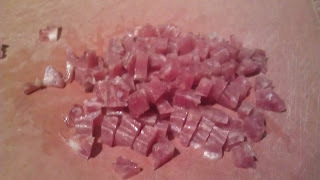 Kūlia cooks! 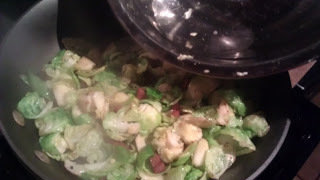 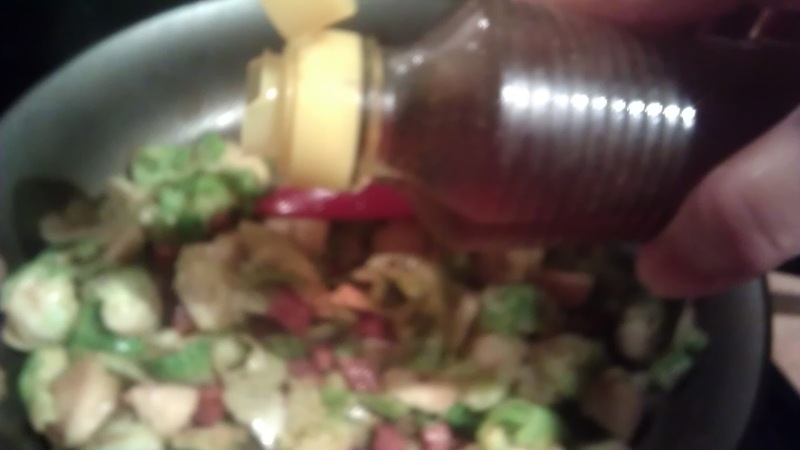 : Brussel Sprouts with Chinese Lap Cheong (dried sausage) - Another brussel sprout make over! Brussel Sprouts with Chinese Lap Cheong (dried sausage) - Another brussel sprout make over! 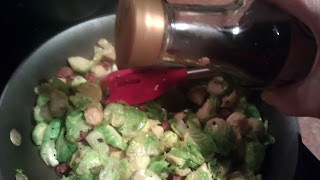 Here is another way to enjoy the very misunderstood vegetable brussel sprout. Living in the frozen tundra, taught me how to make the best of our different vegetable. 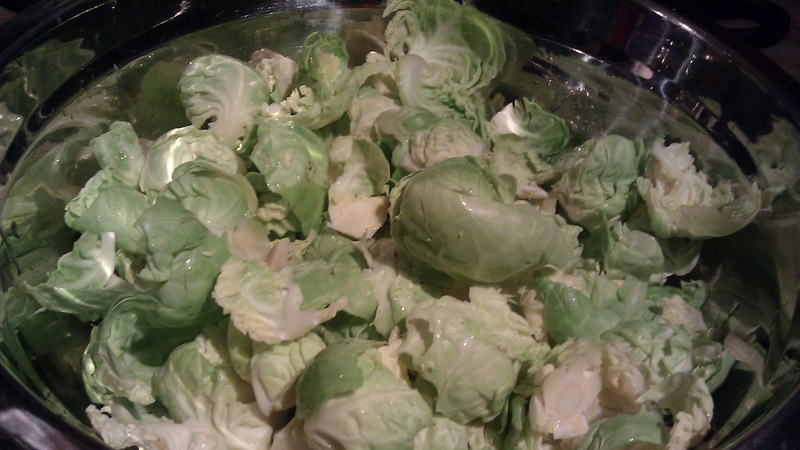 These poor brussel sprouts were over cooked and was given a terrible reputation. I am out there to help these guys redeem their existence with a touch of Asian, of course! 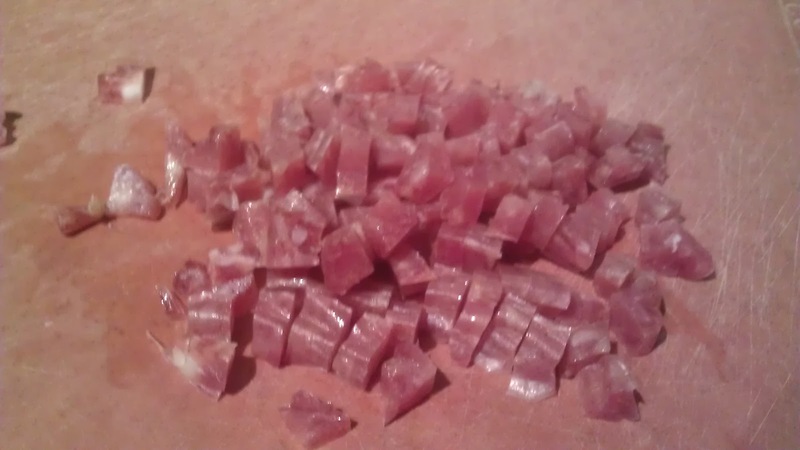 I have 1 Chinese Lap Cheong left and it inspired me to treat it like Pancetta. 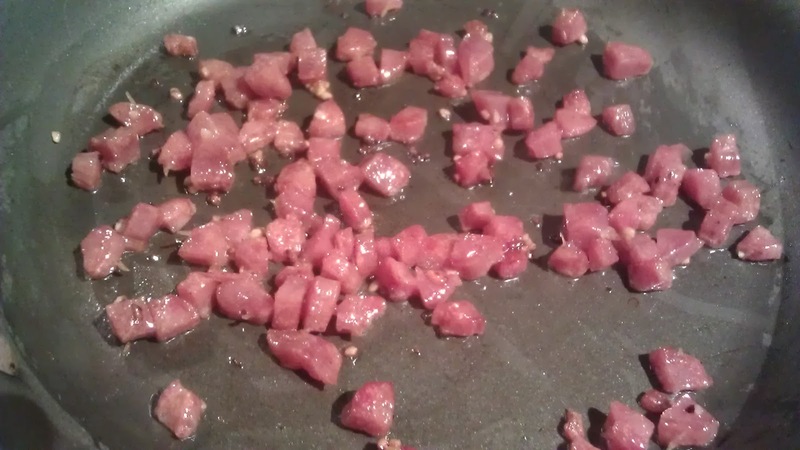 If you prefer you can switch it back to pancetta in this recipe. 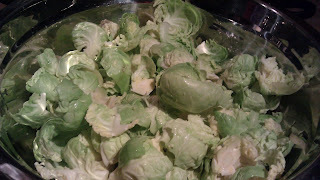 8 ozs Brussel sprouts, cleaned, remove and discard outer leaves. 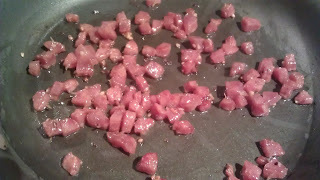 1 Chinese dried sausage, or 2 oz of thick cut (about 1/4" thick) pancetta. 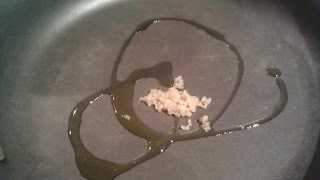 In a med size fry pan, heat a couple tbsp olive oil. 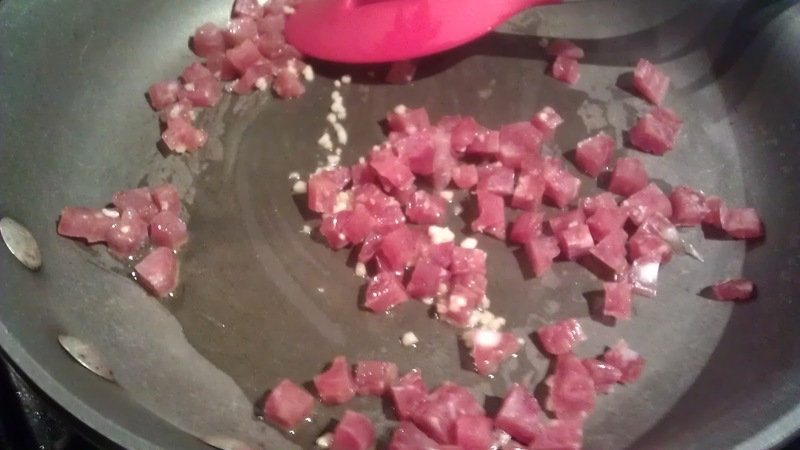 Add garlic and saute till fragrant. When the greens are crisp tender, drizzle with sesame oil, check seasoning and season with salt and pepper as needed. Plate and ready to serve! 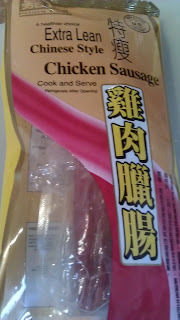 Garnish with sesame seeds if desired.